Let us show you the best Marijuana Phoenix has to offer. 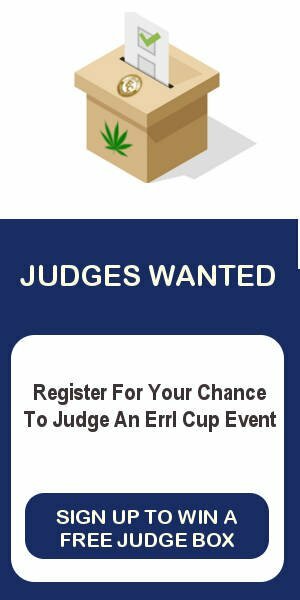 We are going to give you the list of the Top 20 flower entries at our last event, Errl Cup 2017. These were judged on both testing results and judges scores. Each entry was judged by patients and industry experts. All of these entries were tested by our testing partner, C4 labs. With over 180 entries into our Flower Category from both Dispensaries and Patients we have come up with the best Marijuana Phoenix has to offer. Lets get started. This was an entry that was secret shopped by the Errl Cup team. It was pulled right off the shelves of Nature’s Medicine. Nature’s Medicine has always provided the same medication that patients purchase at their Dispensary as they do if they are just entering the to win the Cup. Another great strain from Nature’s Medicine. Located in Phoenix, off of McDowell and 28th Avenue. Their facility, customer service and selection of flower, concentrates, edibles and other medication are really directed towards the patients. The winner of our first Errl Cup 2016 Flower Sativa, Monarch was secret shopped and won the first time. They entered another one of their wonderful sativa strains and it did great coming in at number 17. We loved their 2016 Errl Cup and 710 Degree Cup entries, Durban Poison and Green Crack. True Harvest is a newcomer to our Errl Cup Events. They are the cultivator for Botanica in Tucson, and they also distribute their flower to all dispensaries across Arizona. Their facility was designed to provide high quality organic cannabis. I was very impressed with their overall commitment to providing clean and organically grown medication to Arizona patients. Based in Tucson, this was the first time Nature Med entered in any of our Errl Cup Events. They placed well coming in with some great strains that the judges seemed to love. Caregiver? Dispensary? Authorized Dispensary Grower? Compete against the best in Arizona. Enter your flower in our next Cup and you could win for Top Flower Indica, Sativa, Hybrid and CBD. Nature Med is breaking into the Top 15 with this wonder, Abundant OG. If you have some time and want to get some good flower take the time to go to Tucson or stop by when you are there to see what Nature Med is up to. One of our original caregivers that has been with us from the beginning. Advanced Organic Consultants is all about quality medication for the patients. He has won several of our cups and keeps showing us why. Thanks for the support for Errl Cup, Advanced Organics Consultants, keep producing unbelievable medication. This is what The Errl Cup is all about. Swell has never entered any of our Cups, but is in the top 15 with Kong, that was secret shopped by our team. We love to showcase medicine that would never have been entered if we had not bought it, tested it, and given it to our judges to come up with a final score. I am not surprised, Redwood is one of the best strains that has come through our Cups. We are proud to be associated in any way with Advanced Organic Consultants medicine. Well, see what I mean. Number 10, Nature Med Tucson. First time entering, I believe they entered four strains, and 3 of them are in the top 20. Wow, thanks for entering Nature Med, we look forward to your having you participate in our event more frequently. Look forward to the things to come. Tucson representing here. Encanto Green Cross had some fine products they submitted. I think this one was well above any of the Pineapple strains we have seen at our Cup. We know that their medication is organically grown and they have a wide selection of potent strains to help patients with their needs. What? Number 8 Secret Shopped. I think Phoenix Relief were one of the top medications for Flower Hybrid in our event. They didn’t even enter, we shopped this and look what happened. Hopefully we will see them enter and get to experience all they have to offer. Again.. Number 7 Secret Shopped. Yes it is true. We bought this medication from Nature’s Wonder in Apache Junction. We are not surprised they have won our concentrate category in the past with Girl Scout Cookies. Great strain with the OG Chem entry. You have to love the dispensary that places in the Top 3 in Hybrid, where 2 of them were secret shopped. This dispensary is providing you with winning medication right off the shelf. Not surprising that another Top Flower is a secret shopped one, and that it was shopped at AZ Grass Roots. We appreciate their commitment to providing patients with clean medicine. Look, another medicine in the Top 3 Indica that was secret shopped. Meaning you, the patient, are getting the best Marijuana Phoenix has to offer right off the shelf. Way to go AZ Grass Roots. Well they did it again, Winner of Sativa, Golden Goat. Arizona Organix has shown they know how to grow some medication. They are the winner of best Flower Indica and Flower Sativa for Errl Cup 2017. Cant say anymore, nice Job. New caregiver for flower category, Funky Skunk Farms blew us away with their great strain, Golden Lemon. What a great product produced by a caregiver. 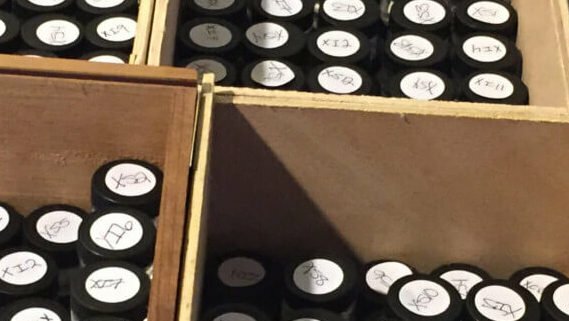 Out of 180+ strains entered into the Errl Cup 2017, they Won Best Flower Hybrid, Patient Class Errl Cup 2017. They also beat out a lot of dispensaries for best flower in Arizona. Drop the Mike.. One entry, One Winner, One Trophy, One Twist Press provided by our partner Rosin Tech Products. Nice win Maxx Trees. Amazing, stick to my fingers good. This caregiver has shown that we are in for some great entries. They only entered one strain, in one category. They won. Not only the Errl Cup 2017 best Indica Flower, but they took home a $500.00 Rosin Tech Products Manual Twist Press. Way to go. Look forward to the entries in the future. Feel free to link to our page, & share this information. Let people know where to get the best flower in Arizona. Try some of these, you will not be disappointed. 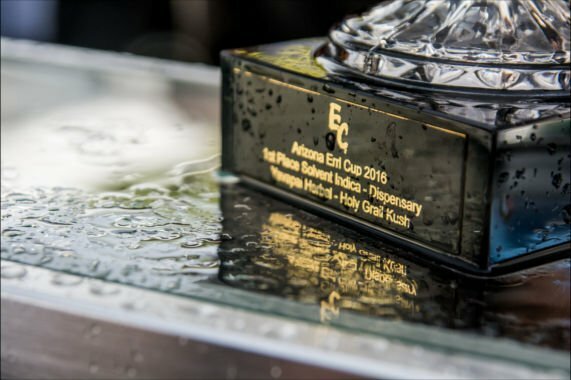 List compiled from Entries into the 2017 Errl Cup. Entries were judged by patients judges and industry judges. All scores were combined with testing results to compile this list. This is a list of the Top 20 Flower Entries in all classes for Flower in our event. Indica, Sativa, Hybrid and CBD. Both dispensaries and caregivers are on this list. Ranked by highest total score from number one to number twenty. Well that is it, we have wrapped up the list of the top 20 Flower in Arizona. This is all based off of our Errl Cup Event entries for our 2017 Errl Cup. If you are a caregiver, dispensary, or licensed dispensary cultivator, enter to compete in a Cup event. Our process of deciding the winner is the most respectable process in the business. We do not let money influence the outcome. We allow the patients of Arizona, the industry experts and the testing to come up with the winners of over 21 categories. Come to our next event and discover the Errl Cup Experience.